Spencer sent in an email looking for help selling his motorcycle. He’s tried “everything” we listed in our How to Sell a Motorcycle post with no great success, likely due to it being dead of winter. We’re not giving up on him though. 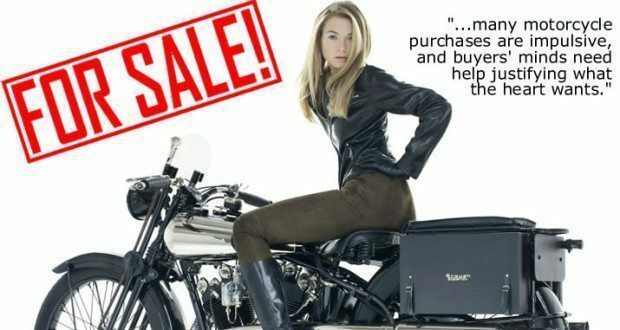 Here are a few more, albeit unconventional ways of selling your motorcycle. Hey Spencer, sorry if our tips didn’t help. I outright refuse to give up on you though. Here are a few more tips to try out… they aren’t as conventional, but hey, consider this our “B-List” of things to try. – Sellers pricing the vehicle based on how much money they owe on it. – Sellers pricing the vehicle based on the cost of modifications to the vehicle. – Sellers pricing the vehicle based on sentimental value. These points all have little to no impact on the motorcycle’s actual market value. If it’s not moving, consider dropping the price, or at the very least, make sure your price is in line with the other Inazumas. Cool looking little bike by the way. 2) Wait it Out – It’s January in the UK. How many people are really looking to buy a motorcycle at this time of year? If you aren’t hard pressed for cash, consider waiting until the spring to sell your bike. 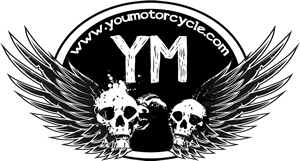 Your motorcycle may actually appreciate, rather than depreciate in value, between now and four months from now. Think about it. 3) Sell to a Dealer – If on the other hand you are in dire need of cash or simply don’t want to wait four months to sell your motorcycle, that’s fine too. You mentioned that you’re from around London? Ok. Take a look at Metropolis Motorcycles, they’ve got a blurb on their front page saying that they “are in desperate need of pre-owned Motorcycles & Scooters.” Give them and whoever your current dealer/garage/parts supplier a ring and see what kind of offers you get. 4) Post it to Social Media – Funny thing about Facebook: everyone quietly (or not so quietly) watches what you have. When I simply posted that my trusty rusty 1998 Volkswagen was going to be going up for sale I had four “Friends” offer to buy it within three days – I never even had to list it on the classifieds. 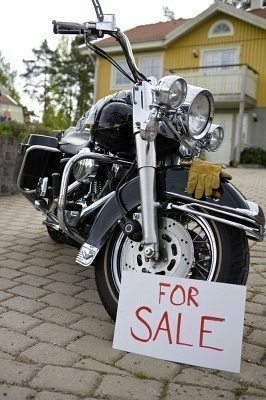 5) Go Old School – Last but not least, leave it on a high traffic corner, with a sign taped to it with a price and your phone number, letting people know the bike is for sale. It sounds ridiculous, but it works. That’s how I found the car that I replaced my old Volkswagen with! Hey, we promised you unconventional tips for selling your motorcycle… but if you want our more typical ones, click here. Good luck, Spencer! Previous: $50 Gift Card for Leaving Comments? Yup! No offense to whoever wrote this blog, but there’s not much unconventional about any of these “ways to sell”. In fact, I’m surprised “Put it on Kijiji and eBay” didn’t make the list. Now THAT would be unconventional! Well then… That would be unconventional. Sexist much? How about you take your clothes off and sit on it? Hey Michael, it looks like Chris wants you to take off your clothes and sit on it. I wonder what the “it” is. Bikes are getting like boats, two great days in the life of buying one. The day you buy it, and the day you sell it. I tell you roads are getting so bad I think its affecting people’s interest in cycles. Not to mention the inattentive drivers running into motorcyclists these days. Here in Toronto Canada, it’s definitely inattentive riders and skyrocketing insurance rates. They’re detrimental to riders, and motorcycling, simultaneously.